Albrecht Reimold, a member of Porsche’s executive board, said in a news release that the venture would use technologies and innovations to gain greater efficiency. “The significant interplay between design, development, body planning, tool manufacturing and production within the Porsche Group will have a considerable effect on the quality of our sports cars,” he said. The joint venture initially would produce primarily aluminum body and structural components for Porsche, but other automakers also might be able to use the plant, according to Schuler. Schuler, a longtime Porsche supplier, is a subsidiary of the publicly traded Austrian conglomerate Andritz Group, which had 2017 revenue of $6.7 billion. Andritz does not break out Schuler sales as a separate item, but the metals division had sales of $1.8 billion in 2017. The company’s North American operations include three centers in Mexico for parts and maintenance, and a U.S. headquarters in Canton, Ohio. Schuler sells its presses to Ford, General Motors and suppliers. Key orders last year included Nio, the Chinese electric vehicle startup, which bought a press capable of 16 strokes per minute to make outer skin and structural components. 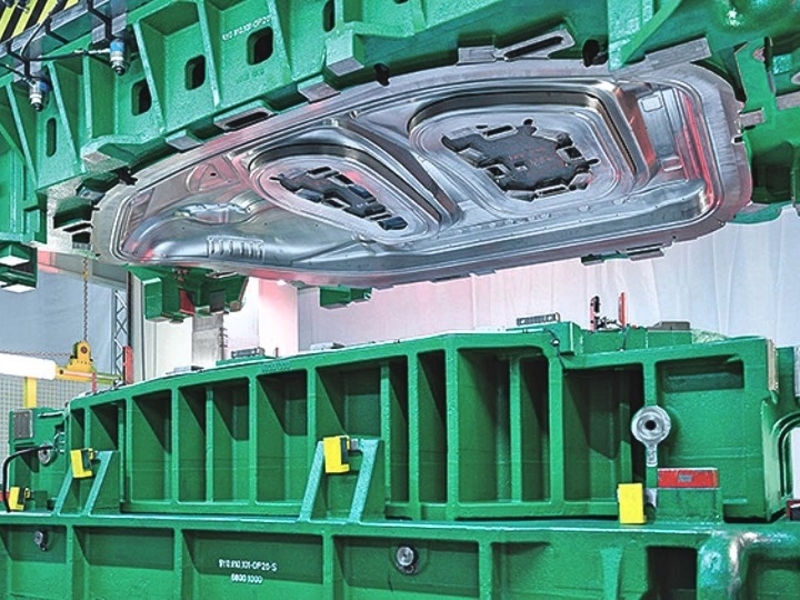 VinFast, the Vietnamese company that plans to start building premium sedans and crossovers based on BMW technology this year, will use Schuler presses. Volkswagen ordered two high-capacity presses, one for its Chinese joint venture with SAIC and one for Germany.